The First Year Seminar brings students into the university through close engagement with full-time faculty. Faculty work with a writing instructor and LMU librarians to introduce students to intellectual rigor, critical thinking, and effective writing skills while laying the foundation for a life-long commitment to learning. 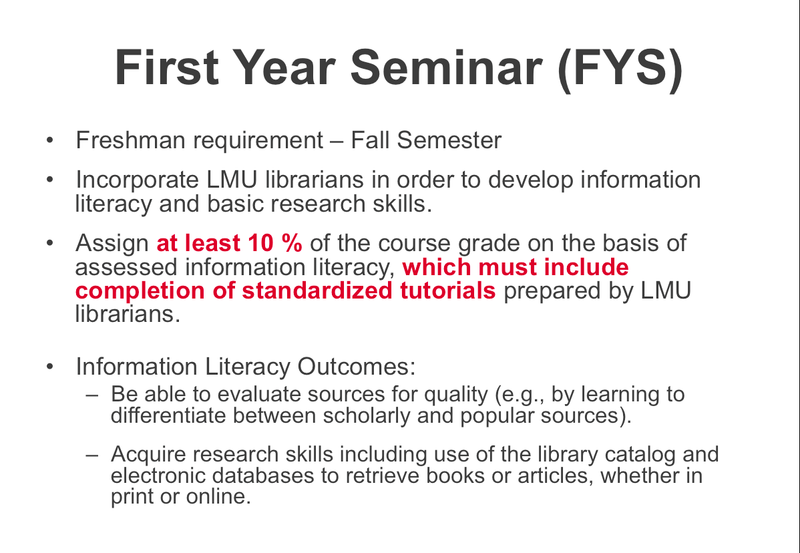 Note: Academic Honesty is NOT included in the First Year Seminar Information Literacy tutorial. This requirement is now administered by the Committee on Teaching In Excellence. For more information, see the Academic Honesty Tutorial.